Since this is a consumer's blog you know I love to share all kinds of info that might be useful to our audience. Today I would like to talk a little about a lovely place located just 30 minutes away from Bulgaria's capital Sofia. 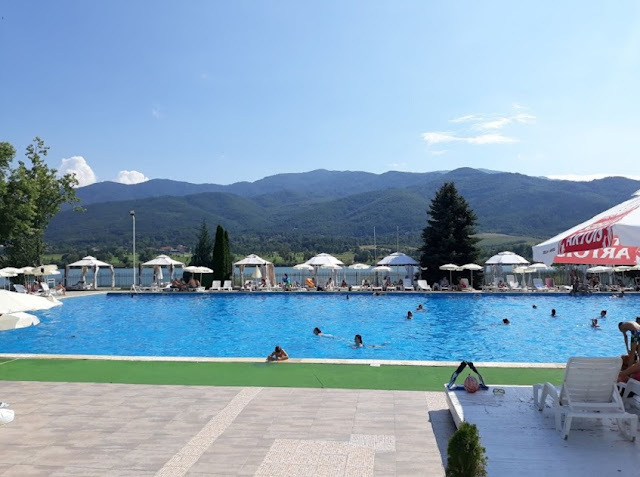 RIU Pravets is a luxury resort located on the Balkans mountain range right next to beautiful Stara Planina slopes and amazing views. RIU Pravets is full of amenities for all tastes. Swim and enjoy in the enormous outside pool - best in the summertime when temperatures get pretty high. The outdoor pool is located just few steps of the main hotel building.